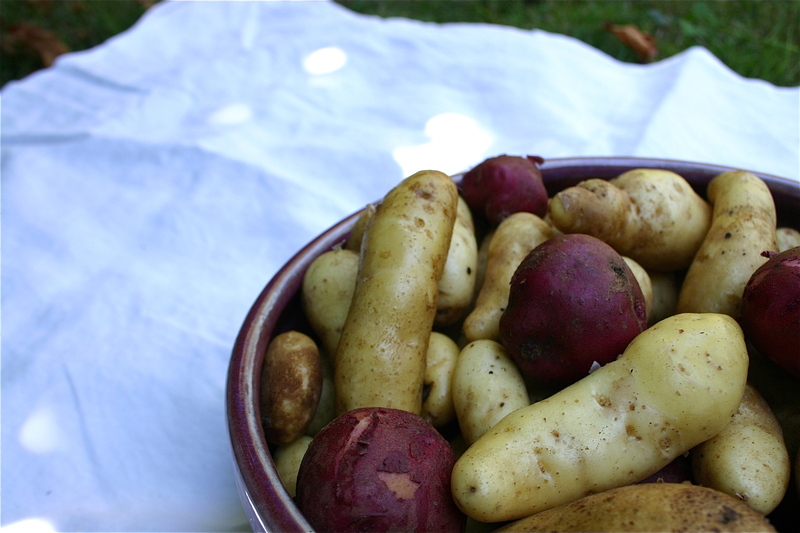 Right now, we have some Yukon Golds, red, and fingerling potatoes from our garden. For my son, it’s like treasure hunting. It’s fun to taste the differences. The creamy Yukons, the fluffy reds, the sweet fingerlings. We often cut our potatoes into wedges or dice them large and toss in extra virgin olive or coconut oil, sea salt, and curry powder or freshly ground black pepper. Sometimes I add roasted fennel seeds to my salt grinder and sprinkle that on for a fragrant touch. What a treat. 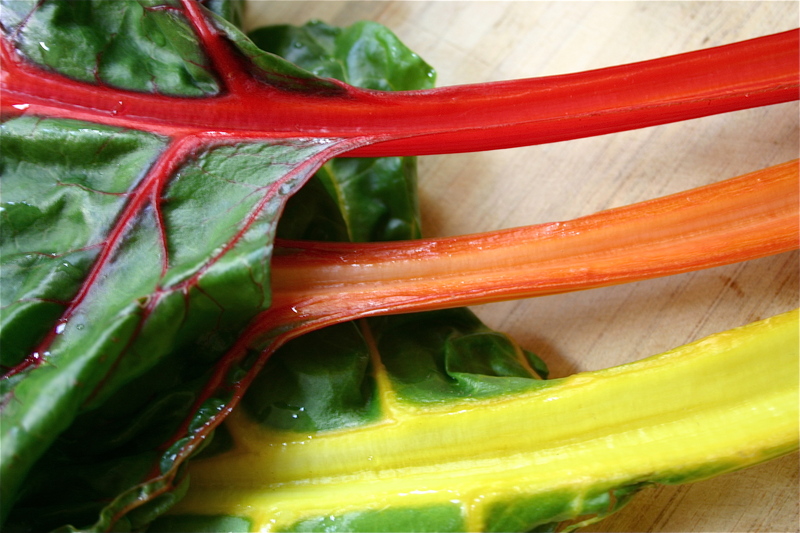 Wash the chard and detach the stem. and steam in it’s liquid left over from washing. to rid of excess water. Chop to bite size. Saute the onions with the oil until transparent, add the mushrooms and garlic. Saute until cooked through and fragrant. 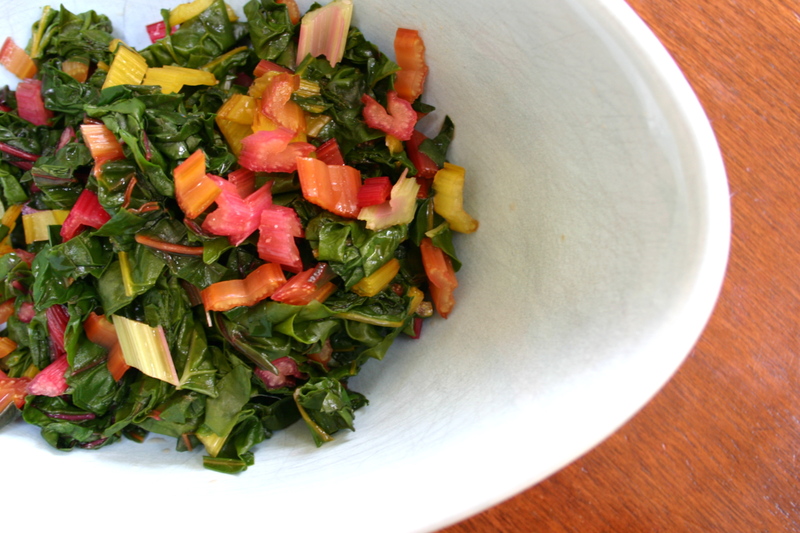 Place in a medium bowl and toss with the chard, 1/4 c Pecorino Romano, and herbs. 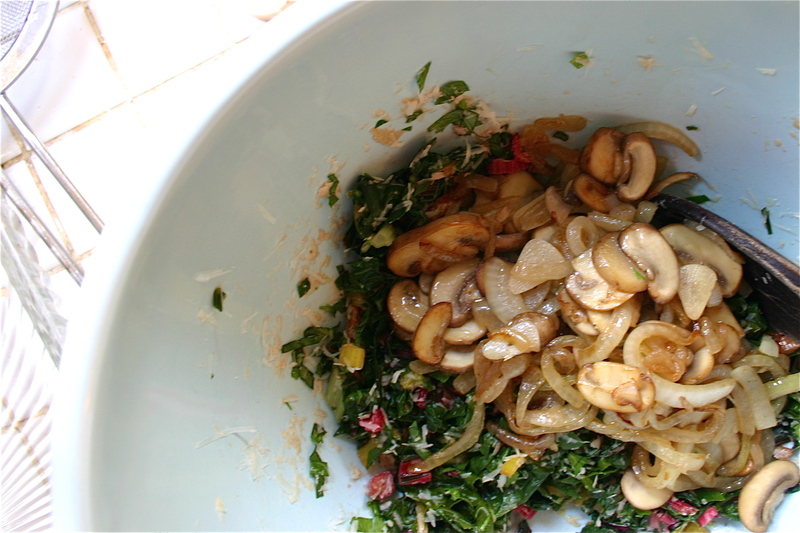 the chard and mushroom mixture. Repeat, ending with a final layer of potato slices. gently press to submerge the layers. 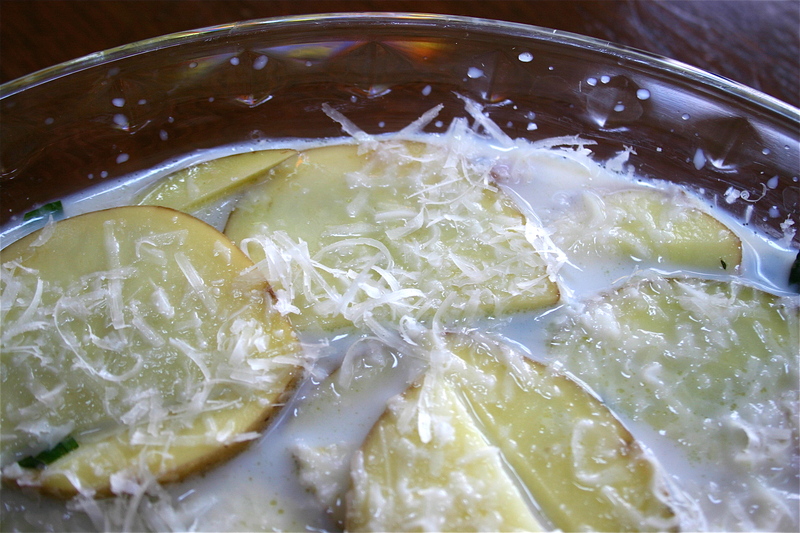 Sprinkle ¼ c Pecorino Romano on top. 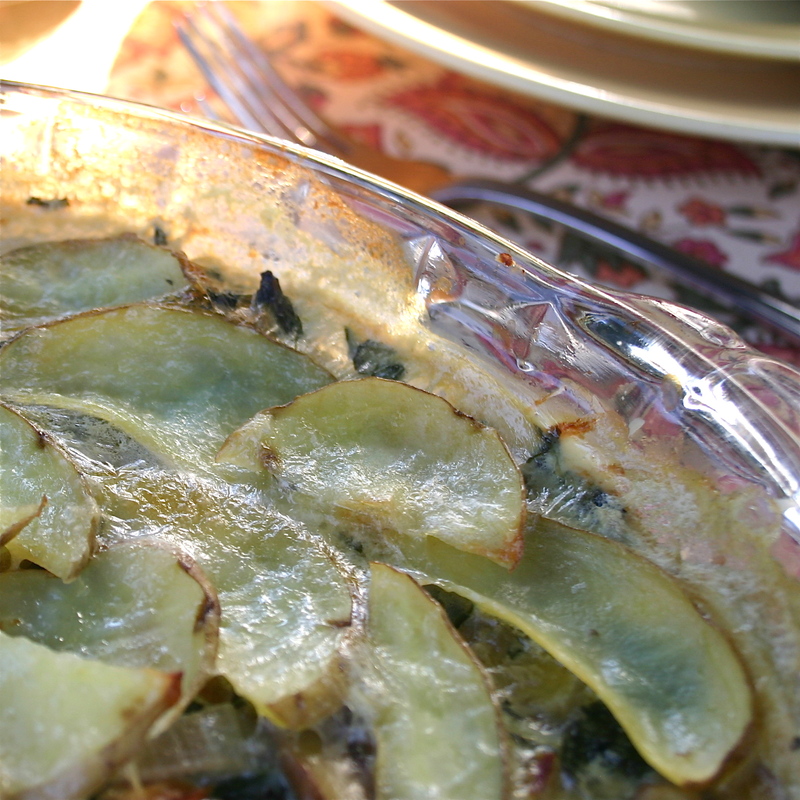 Bake until the top is golden and potatoes are tender, 45 minutes to 1 hour. Enjoy warm. getting me ready for the coming autumn. Cut the potatoes into 1-inch chucks. I like to use the skin for its texture and nutritional value. Traditionally in Japan, the skin is peeled. Place in water to rid of starches. Saute the onion and ginger in the oil over medium heat. Add mushrooms if using. When fragrant, add the drained potatoes and toss around to heat through. Add the broth and seasonings then cover. Add the snow peas just to cook through. Cook potatoes until tender and enjoy! 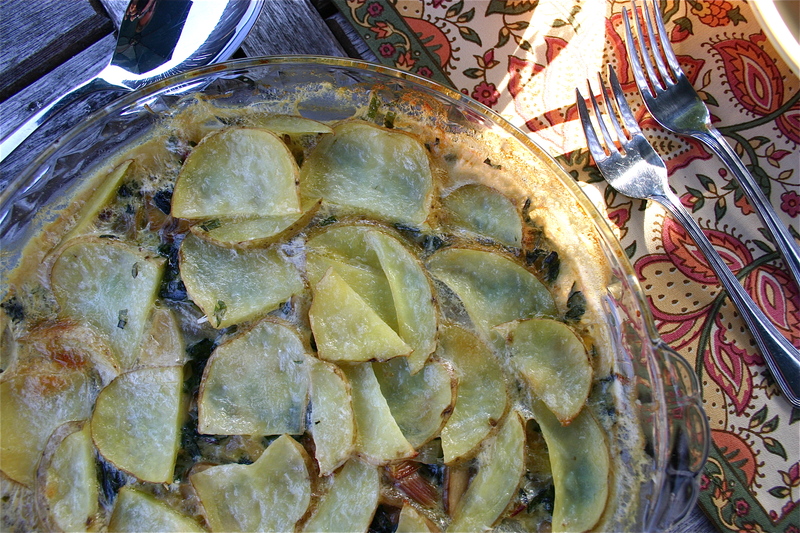 This entry was posted in Fall Vegetables, Recipes, Roots and tagged Butter, Chard, Cream, Garlic, Honey, Local, Mushroom, Onion, Organic, Pea, Potato, Salt, Thyme. Bookmark the permalink.